Discuss and possible vote on a revised final subdivision plat and final site plan submitted by George, Miles and Buhr, LLC on behalf of Beazer Homes, for Dove Landing which had previously been approved on December 12, 2017. The applicant is requesting to integrate a 40’ ocean villa townhome product to allow for a more diverse mix. 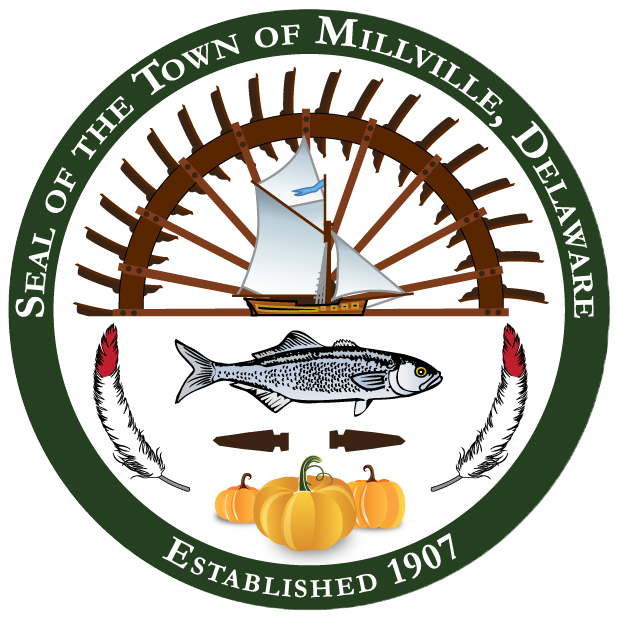 Discuss and possible vote on a revised schematic development plan for the Master Planned Community known as Millville by the Sea which had been previously approved in July 2014. The plan was submitted by Millville Town Center, LLC. The applicant is requesting a location change for the Beebe South Coastal Campus, addition of a mixed-use Town Center District, and relocation of the water tower. Discuss and possible vote on a Conditional Use Application submitted by Davis, Bowen & Friedel, Inc. on behalf of Millville Residential, LLC for the Millville Town Center 3 Subdivision. The proposed subdivision is located on TMP#134-12.00-396.00 and zoned RPC. The applicant requests a conditional use for 24 townhomes on less than 10 acres; the existing parcel is 4.2892 acres. A copy of the plans and applications may be examined at the address set forth above, during normal business hours Monday through Friday from 8:30 a.m. to 4:30 p.m.
You may view the official notice by clicking here.